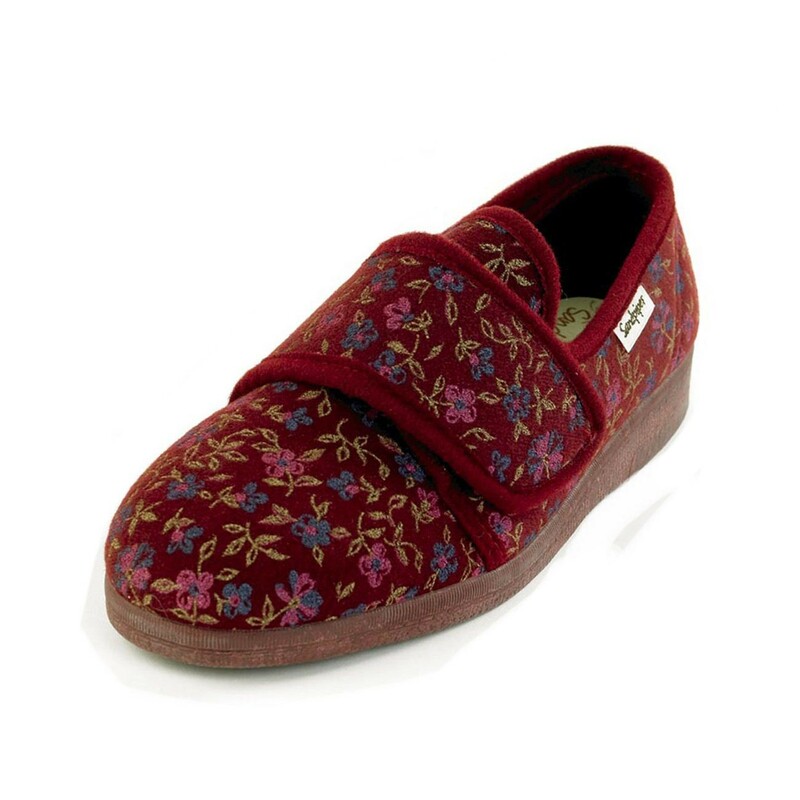 A large range of Cosyfeet and Sandpiper slippers can be found in the shop. All are extra wide and designed with problem feet in mind, many particular suitable for diabetics and those with oedema. Enjoy warmth and comfort with this beautifully soft, warm-lined slipper. Designed to keep the coldest feet warm, they’re plush and velvety to the touch with a sumptuously-soft, padded collar. A smart looking style that looks so neat on the foot on those winter evenings. 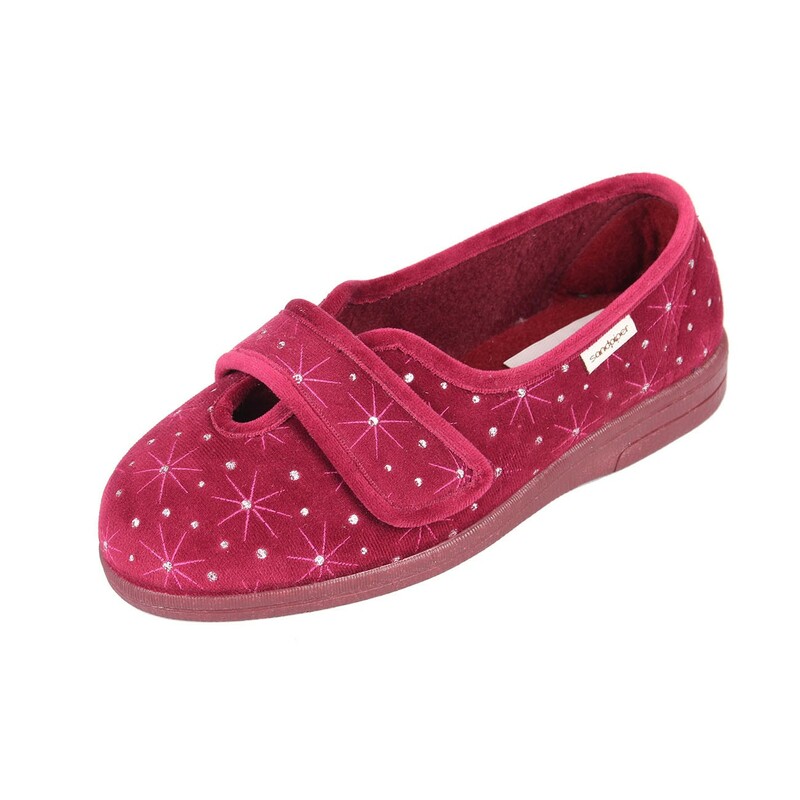 Single strap touch fastening and underfoot support all in four starburst colour options. 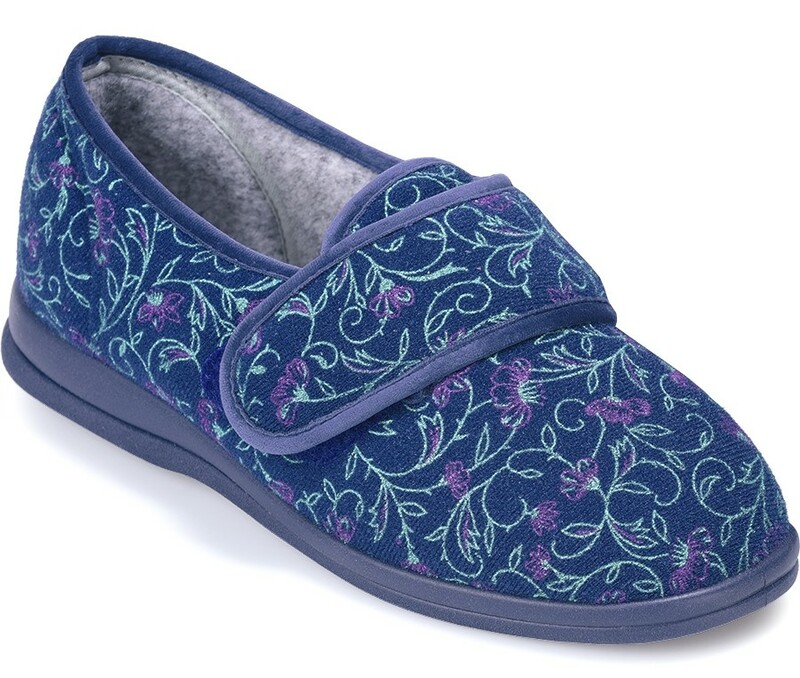 The wide opening with touch fastening strap gives you all the adjustment and support that you need. Suitable for diabetics. Extra wide 4E-6E fitting. This cute slipper style really will get comments from your friends and family, it just can’t go unnoticed. 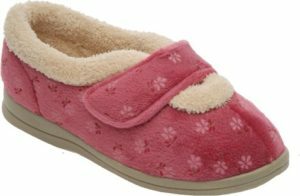 The snug collar design hugs the foot and the touch fastening strap allows precise adjustment for the perfect fit. Suitable for diabetics. Extra wide 4E-6E fitting. 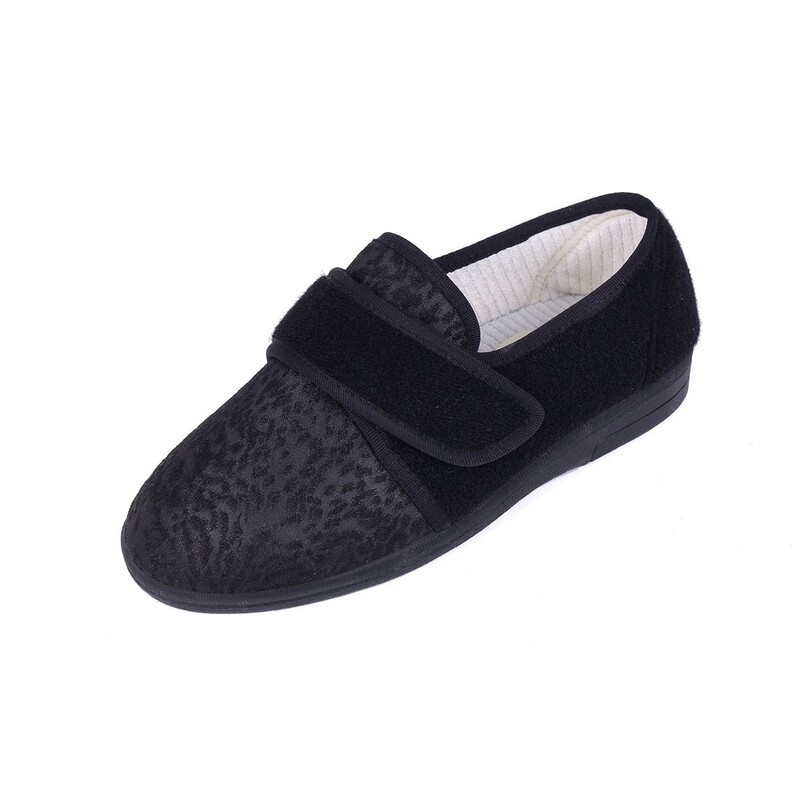 The stretchable elastane material is great to accommodate very swollen or mis-shapen feet. 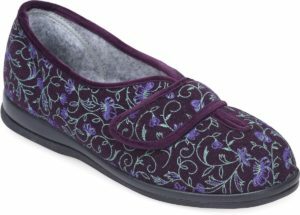 The adjustable fastening holds the foot snug against the heel for good support. This style will ‘mould’ to the shape of the foot, even when your feet change shape during the day. Suitable for diabetics. Extra wide 4E-6E fitting.